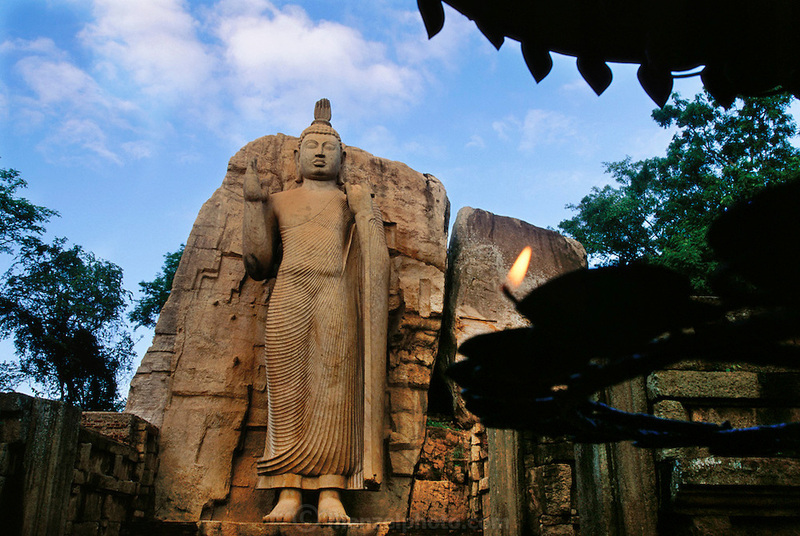 5th century Buddha: a 12 meters tall granite statue of Buddha, hewn out of solid rock in the standing posture on a lotus pedestal. The statue was built during the reign of King Dhatusena in the 5th century AD. Awkana, Sri Lanka.